The Nigerian cotton industry will soon receive an investment of $2bn (N610bn) that will enable the country to create its first ever cotton value chain sector. Already, a Memorandum of Understanding has been signed between the Ministry of Industry, Trade and Investment and Shandong Ruyi International Fashion Industry. The pact is one of the 13 entered into by the Federal Government at the recently concluded conference in China. The agreement, it was learnt, would enable the government to establish a cotton value chain industry from cotton growing to ginning, spinning, textile manufacture and garment production. New factories are expected to be created in Katsina, Kano, Abia and Lagos states. The investments, according to the Ministry of Industry, Trade and Investment, will involve aggregation and offtake of cotton from farmers for ginning, spinning and weaving. It will also involve the manufacturing of at least 300 million metres of African print. This is expected to meet about 20 per cent of West Africa’s demand. The pact will lead to the production of cotton and denim garments for local consumption and export. 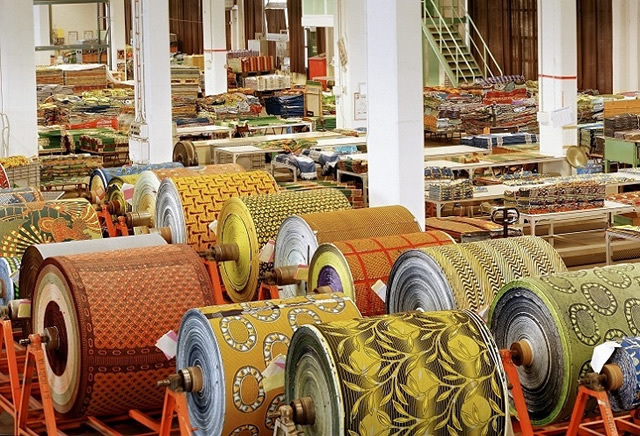 Statistics from the ministry revealed that between 1980 and 2016, about 145 companies operating in the textile sector had shut down due to the harsh economic climate. The economic challenges have made the industry, which used to be the highest employer of labour after the government, to become a shadow of itself, employing very few people currently. Some of the challenges facing the sector are smuggling of finished materials from foreign nations, inadequate power supply, lack of standardisation and the poor yield from cotton seed. The Minister of State for Industry, Trade and Investment, Aisha Abubakar, had said that the Federal Government was mindful of the importance of the sector in creating jobs and reducing poverty. She added that as part of efforts to promote the development of the sector, the Federal Government had decided to dedicate three out of the six special economic zones to be created this year to textile and garment sector. The minister also said that the government was working hard to support the industry through massive investment in infrastructure, noting that this would assist in bringing down the price of cotton.